I don't feel like I have a weak hand. 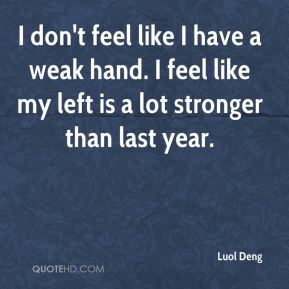 I feel like my left is a lot stronger than last year. It's a big possibility. My freshman and sophomore years of high school, I felt that [Connecticut] was the school I was going to. It feels like I keep getting something. 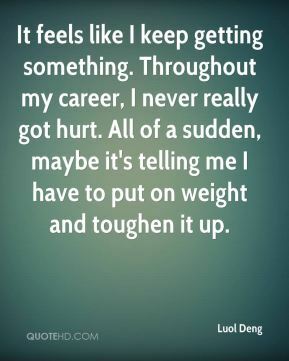 Throughout my career, I never really got hurt. All of a sudden, maybe it's telling me I have to put on weight and toughen it up. I should have held onto the ball. 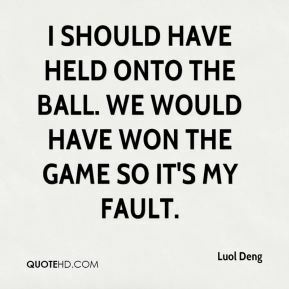 We would have won the game so it's my fault. My teammates played hard and I lost the game for my teammates. I should have held onto the ball instead of passing it. 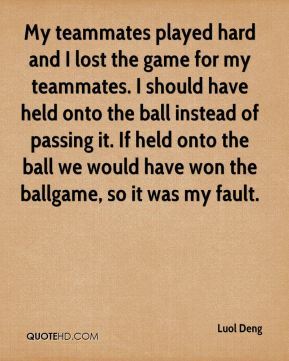 If held onto the ball we would have won the ballgame, so it was my fault. We just couldn't hit shots. 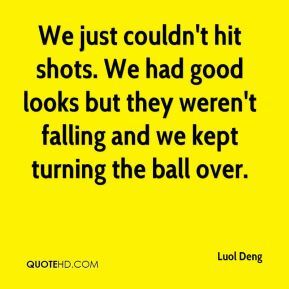 We had good looks but they weren't falling and we kept turning the ball over. We just couldn't hit shots. We were missing shots. We had good looks, we just have to convert them. 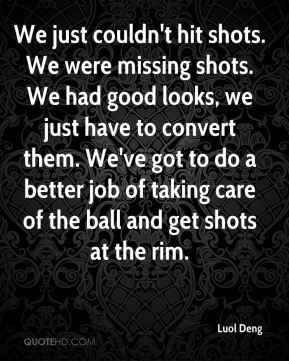 We've got to do a better job of taking care of the ball and get shots at the rim. 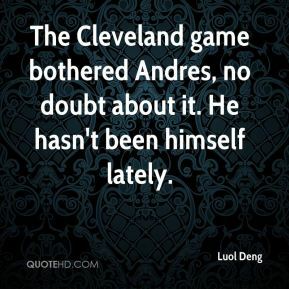 The Cleveland game bothered Andres, no doubt about it. He hasn't been himself lately. Kirk carried us. I had some good looks in the fourth quarter, but the whole game I struggled. 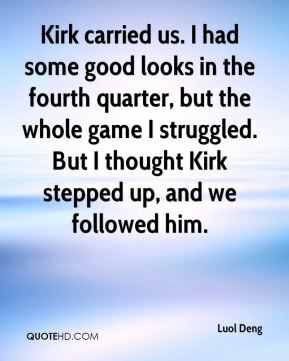 But I thought Kirk stepped up, and we followed him. 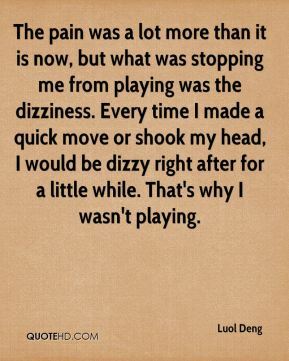 The pain was a lot more than it is now, but what was stopping me from playing was the dizziness. Every time I made a quick move or shook my head, I would be dizzy right after for a little while. That's why I wasn't playing. They were just accidents. 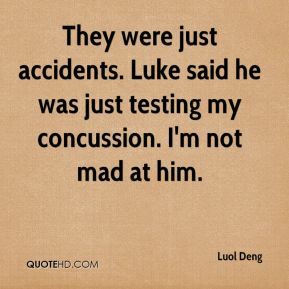 Luke said he was just testing my concussion. I'm not mad at him. 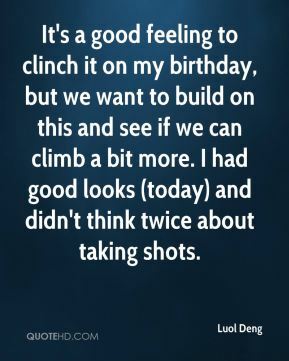 It's a good feeling to clinch it on my birthday, but we want to build on this and see if we can climb a bit more. I had good looks (today) and didn't think twice about taking shots.